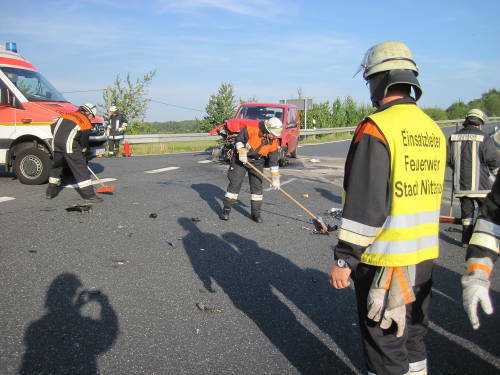 The VFD Nittenau First Reponder got an alarm for a motor vehicle accident on 08/22/2013 at 06:11 p m, one minute later the fire departments of Nittenau and Bergham were called for wash down. 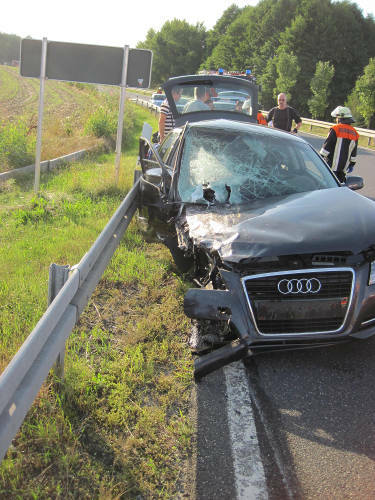 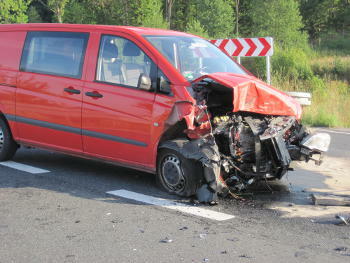 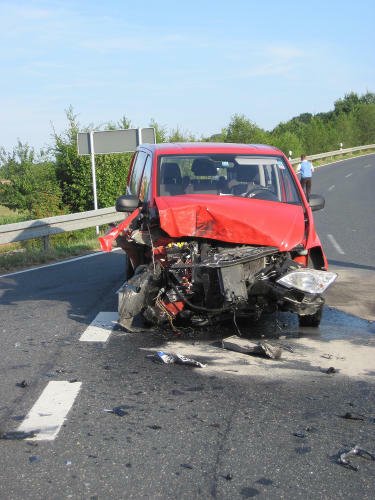 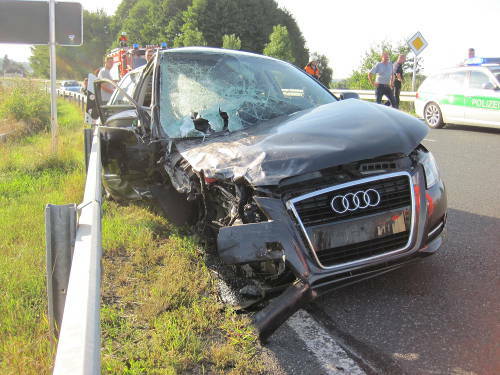 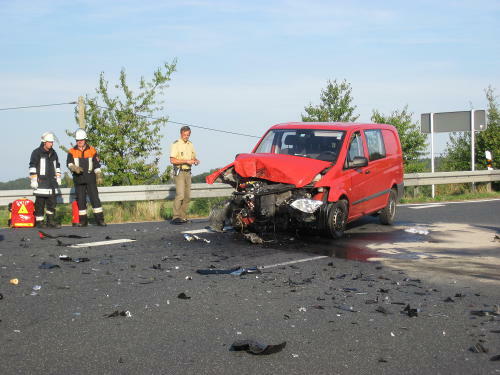 At the crossing Wulkersdorfer Straße / SAD 11 a Mercedes Vito had collided with an Audi A3, two persons were injured. 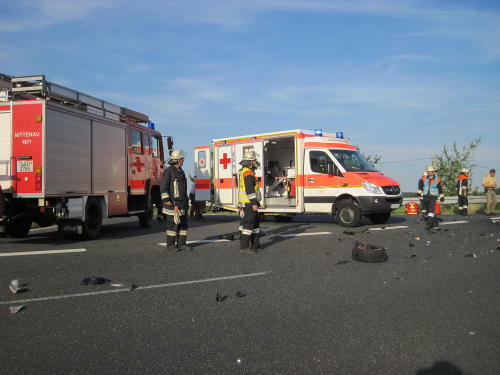 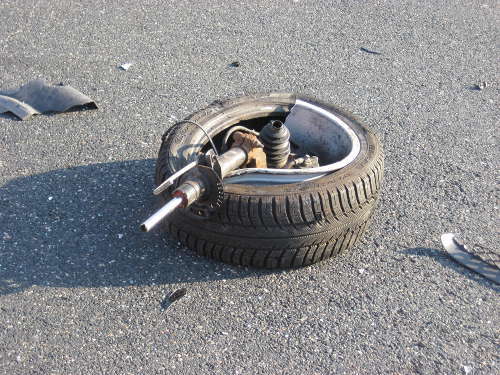 The Nittenau First Responder cared for initial treatment of the injured persons, the fire departments controlled the traffic and washed down the road.